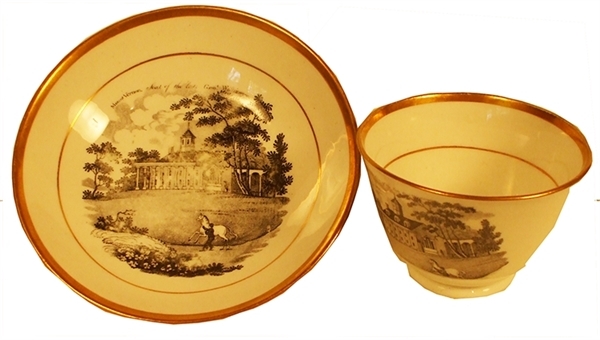 Gold rimmed pair, black transfer on outside of both pieces, “Mount Vernon, Seat of the late Gen'l Washington". No maker, c1820, np. (formerly Rex Stark inventory).